Slaves spent the first few years of their career as musicians playing in the back rooms of pubs, make-shift venues that supply the life blood for British music. Since then, though, the humble boozer has been placing under increasing pressure. Last year around 18 pubs shut per week across the country, and it's already causing fractures. New campaign Long Live The Local forms the background of the new video from Slaves, with 'Bugs' featuring a riotous performance down their local. Fans are crammed in, the bar staff go wild, and the pair love every minute - but this is contrasted with a dystopian scene in which pubs have been closed down, the buildings derelict. 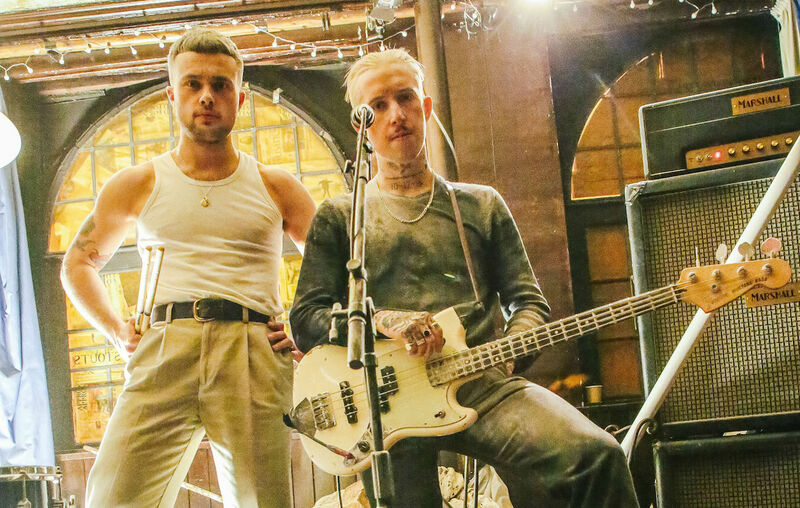 "Without pubs we would have had nowhere to start our career," Slaves explained. "Pubs are so important to the careers of musicians. They are pillars of communities and need saving." David Cunningham, Programme Director of Long Live The Local commented: "Pubs have long been the home of live music. They are a breeding ground for talent - past, present and future, a place where bands meet their first fans." "However, with three pubs a day closing their doors for good, live music is under threat. We need to keep pubs alive to keep music live, which is why we’re asking music fans across Britain to sign our petition calling on the Chancellor to cut beer duty". For more information on the Long Live The Local campaign click HERE.